Touring car racing isn't big in the States, which could be in part due to the popularity of NASCAR. But whatever the reason, it's a bit of a shame, because the cars can be wicked cool. 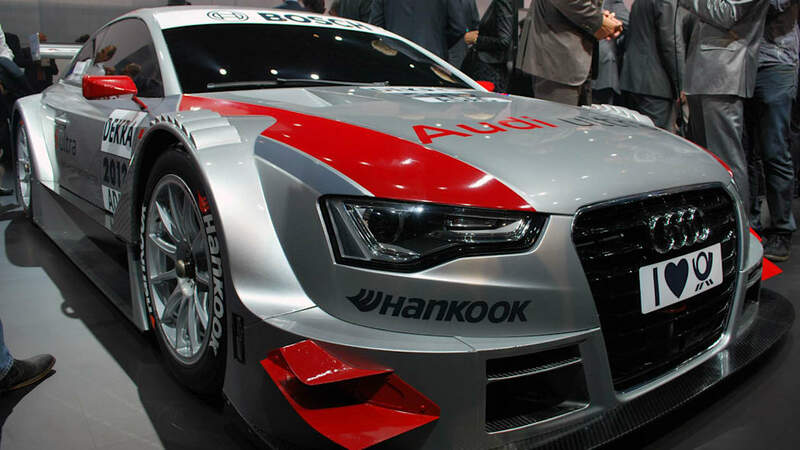 Like the new Audi A5 DTM. Though powered by the same 460-horsepower V8, the racer internally dubbed R17 is set to replace the long-serving A4 DTM (and the V8 Quattro that preceded it) when the new regulations take effect next season. Then it will line up on grids across Germany alongside the new Mercedes-Benz C-Class DTM Coupe and the fresh M3 DTM entry from BMW in the German touring car series. But while development is still ongoing, we got a good look at the A5 DTM here in Frankfurt. Follow the jump for the press release, and check out the car in the live gallery for a closer look, because while rumors are afloat of the series potentially making the U-Boat trip across the Atlantic, for the time being this is as close as we're likely to get. Ingolstadt/Frankfurt, September 12, 2011 – On the eve of the International Motor Show (IAA) in Frankfurt Audi presented its new DTM vehicle: After the V8 quattro (1990 to 1992) and the A4 (2004 to 2011) the brand with the four rings has opted to use a two-door coupe in the most popular international touring car series for the first time. 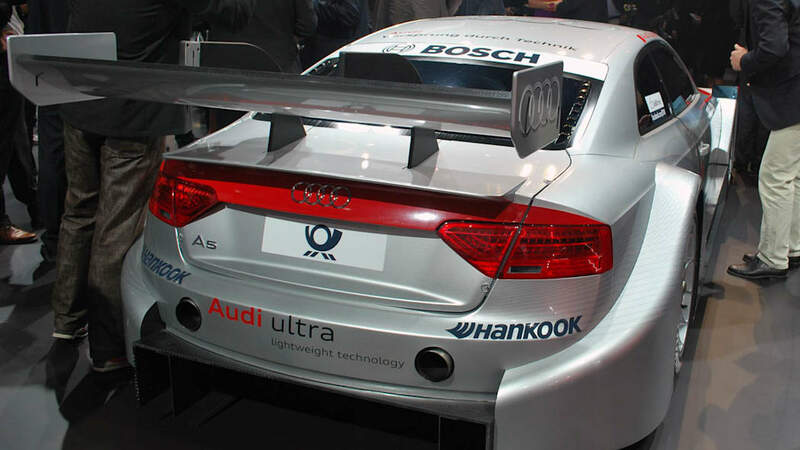 The new Audi A5 DTM, which bears the internal project name "R17" at Audi Sport, conforms to the new Technical Regulations that will come into effect in the 2012 season. The project was premised on three key aims: the safety of the vehicles, reduction of the costs by up to 40 percent and a spectacular exterior design. IAA visitors will have the opportunity to get a first-hand impression of the new car's look at the Audi Hall from September 13th to 25th. The Audi A5 DTM appears lower and sturdier than its successful predecessor with which Audi has won four of the last seven DTM titles. 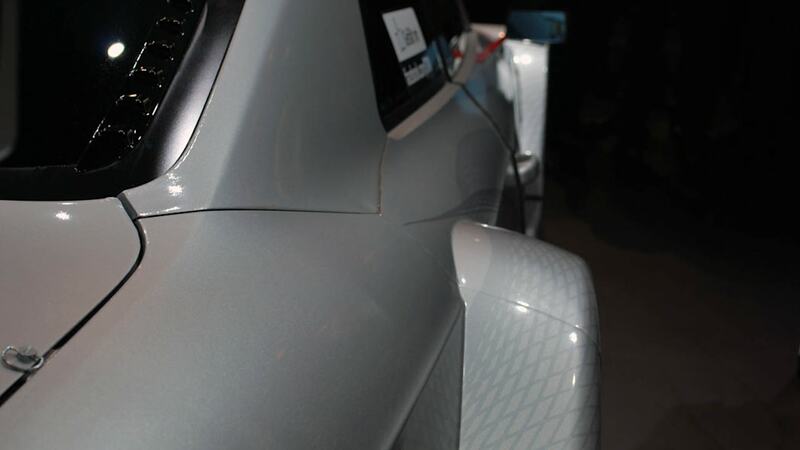 Underneath the body, which is completely made of carbon, a new type of chassis features a hybrid construction. The combination of a carbon fiber monocoque and steel cage sets new standards in terms of safety for a race touring car. 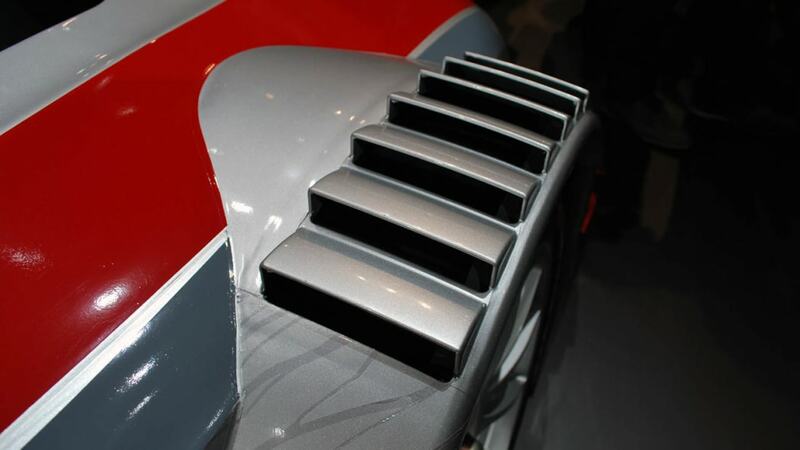 In addition, the chassis is one of more than 50 components which are identical for all DTM vehicles. "Due to these shared components it was possible to achieve the cost reduction target of up to 40 percent without compromising on the safety and attractiveness of the DTM vehicles," explains Head of Audi Motorsport Dr. Wolfgang Ullrich, who has been in charge of the new Audi A5 DTM development. 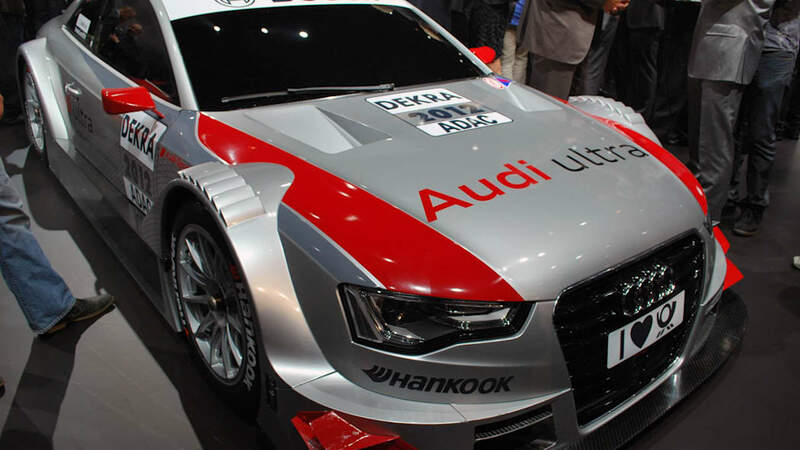 The A5 DTM is 5.01 meters long, 1.95 meters wide and 1.15 meters low. 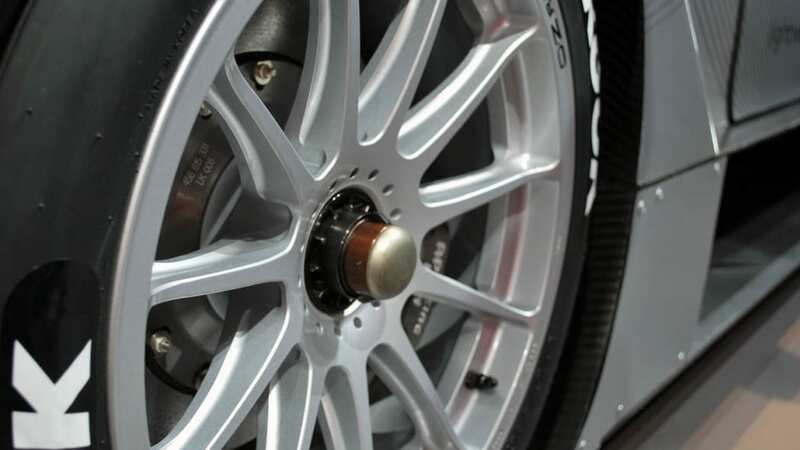 The wheelbase of all DTM vehicles is identical, i.e. 2,750 millimeters. Like its predecessor, the A5 DTM is powered by a V8 engine with an output of about 340 kW (460 HP). The six-speed transmission, now pneumatically operated using paddle shifters in the steering wheel, is a new development. The shifting events are more precise compared with conventional manual gearshifts and allow the mileage of the unit to be quadrupled to up to 24,000 kilometers. The engine electronics (Bosch MS 5.1), which operate without fuses, and the central display that is already being used in the Audi R8 LMS are state-of-the-art as well. The exclusive tire partner Hankook is supplying larger and wider tires with dimensions resembling those of LMP2 sports cars. 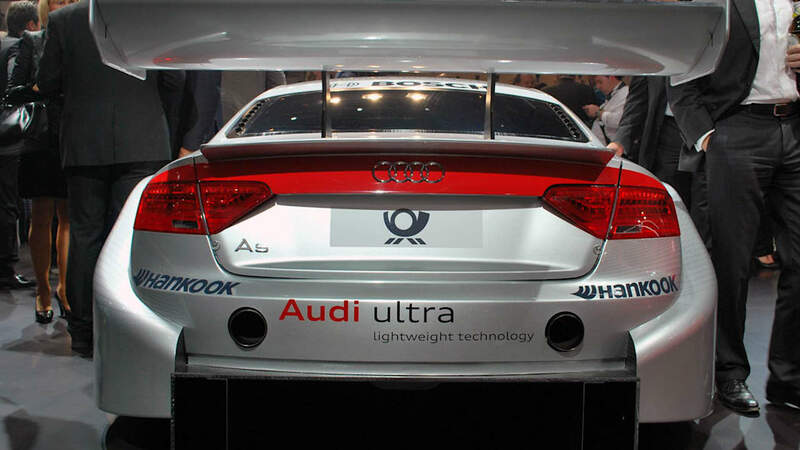 A safety fuel tank with a capacity of 120 liters is integrated with the carbon fiber cell of the Audi A5 DTM. It would allow the current distance of a DTM race to be covered without a refueling stop. For longer races a quick refueling system is in development. The engine sub-frame at the front and the transmission at the rear are identical for all DTM cars and limit the freedom of the engineers with respect to the suspension, which has to be mounted to these shared components. In addition, steel as the material for the A-arms and the tube dimensions are specified. For the hub carrier, the regulations define the material and the production process to be used. A milled aluminum part with a minimum weight is prescribed. 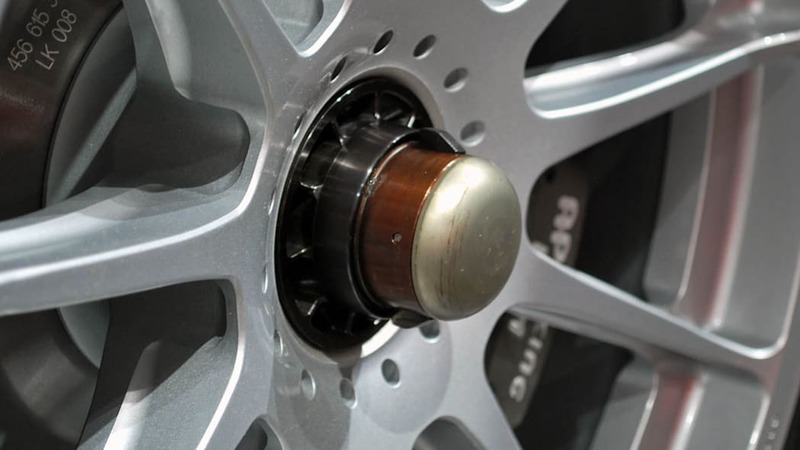 Furthermore, a strict provision in the regulations defines the wheel hubs and the rims for all entrants. The possibilities in the area of aerodynamics are restricted as well. Air flow through the body, as in the case of the current A4 DTM, and complex additional wings at the rear are no longer allowed. This creates a stronger visual resemblance between the race car and the production model. At the same time the new DTM vehicles are to respond less sensitively to body contact with other vehicles and deliver slipstream improvements – also thanks to the larger rear wing. 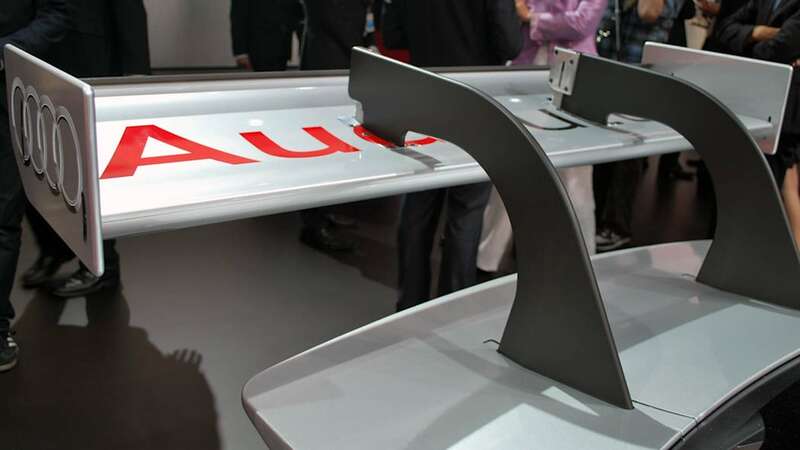 "In the past, Audi has had very innovative solutions particularly in the area of aerodynamics in the DTM," says Dr. Martin Mühlmeier, Head of Engineering at Audi Sport. "Since these areas have been subjected to severe restrictions good detailed solutions will now be crucial to achieving advantages over the competition." The "R17" project was launched in May 2010 and a month later the decision was made that the A5 would serve as the base model. Trials in the model wind tunnel have been run since February 2011. The roll-out was successfully performed on July 29, 2011 by Martin Tomczyk. Since then testing of the A5 DTM has been in progress. 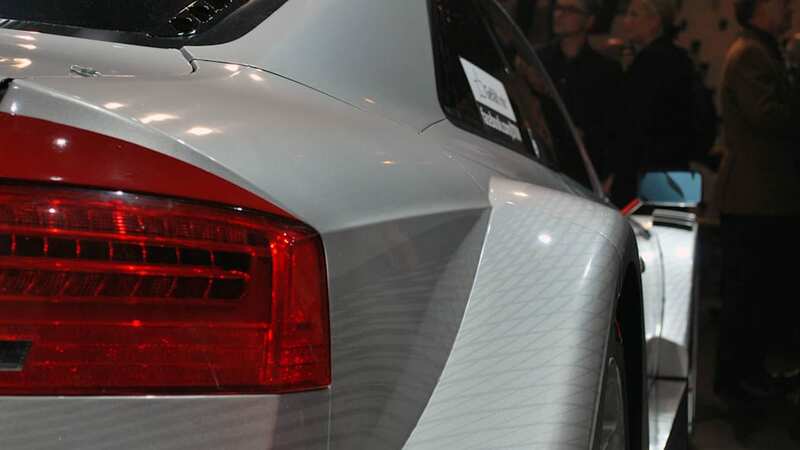 The homologation of the A5 DTM is scheduled for March 1, 2012 – until then the engineers at Audi Sport in Ingolstadt and Neckarsulm still have time to fine-tune the detailed solutions.